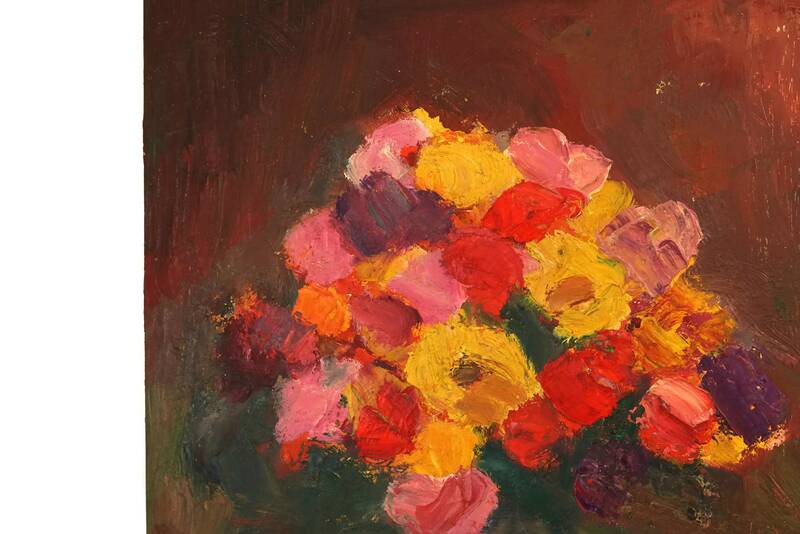 A beautiful flower still life art from the 1960s. 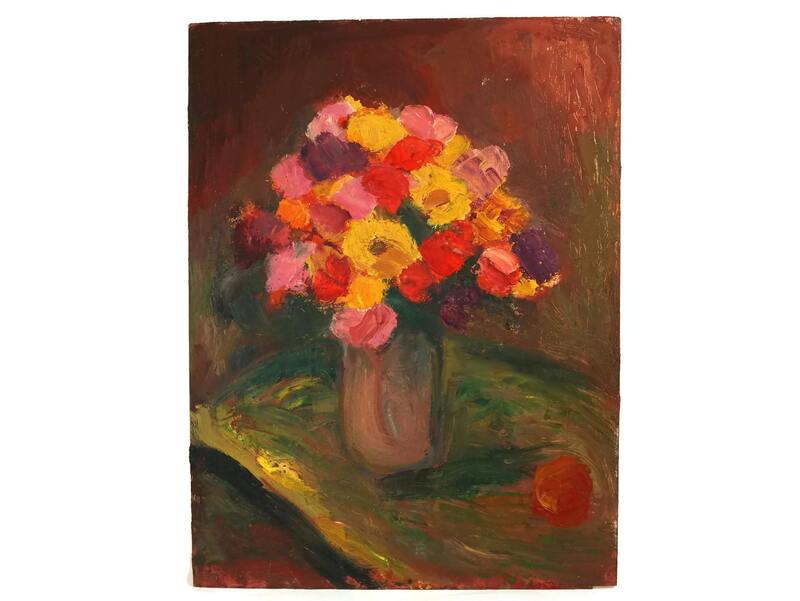 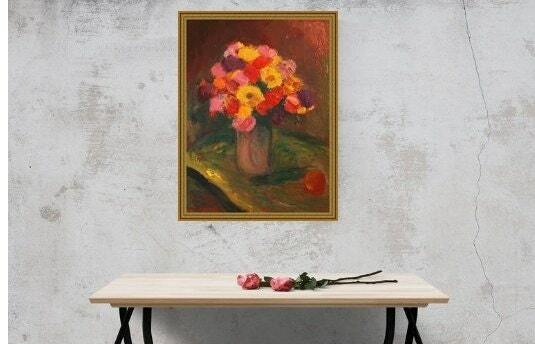 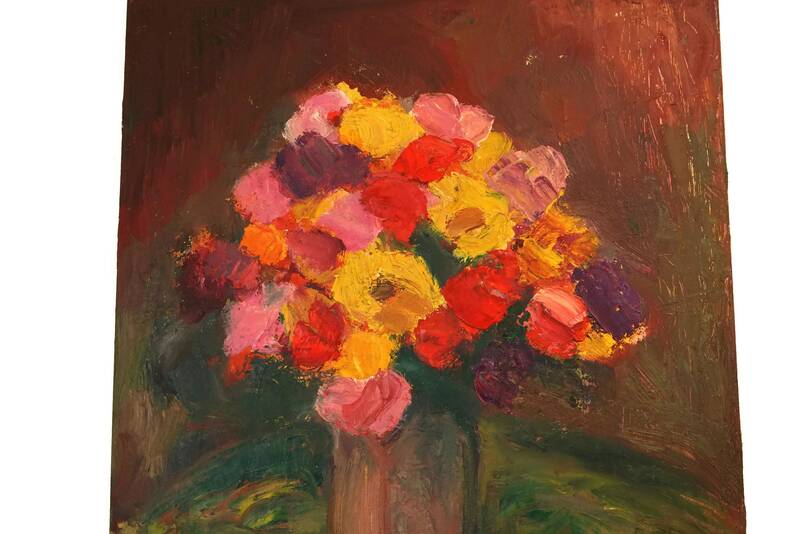 The large original French floral bouquet in vase oil painting was created by the artist Ariel Anna Costa who was active in the south of France from the 1950s - 1970s. 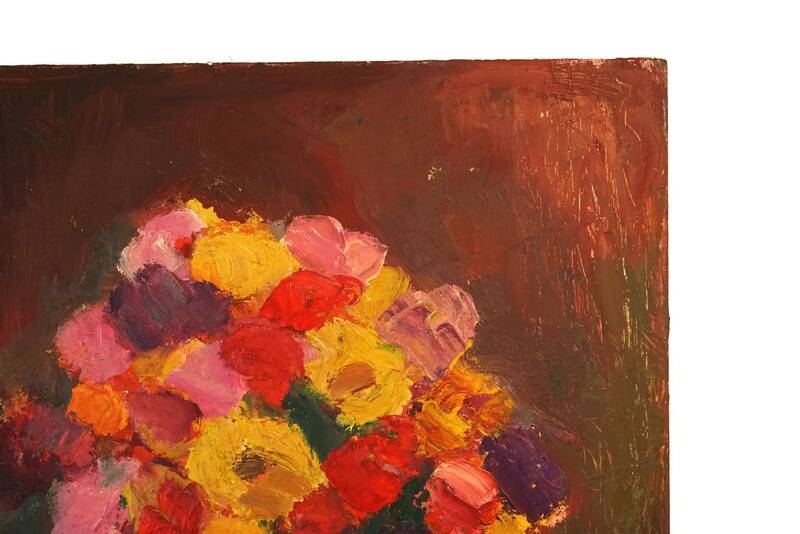 It forms part of a collection recently purchased from her estate. 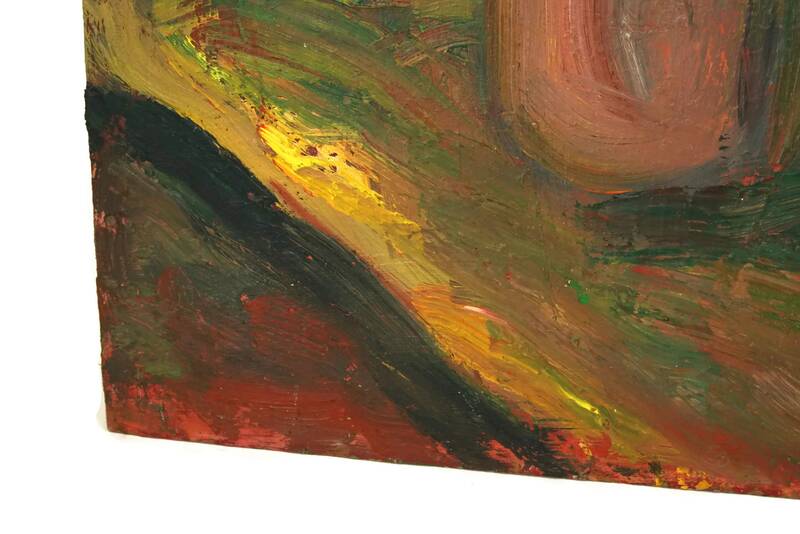 It has been painted on board in a vibrant palette of yellow and orange with bold brush strokes and a textured surface. 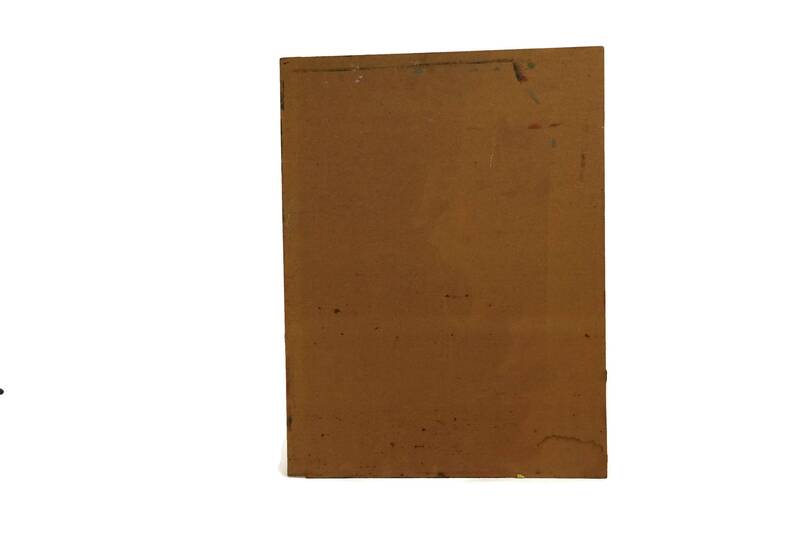 The painting is unsigned. 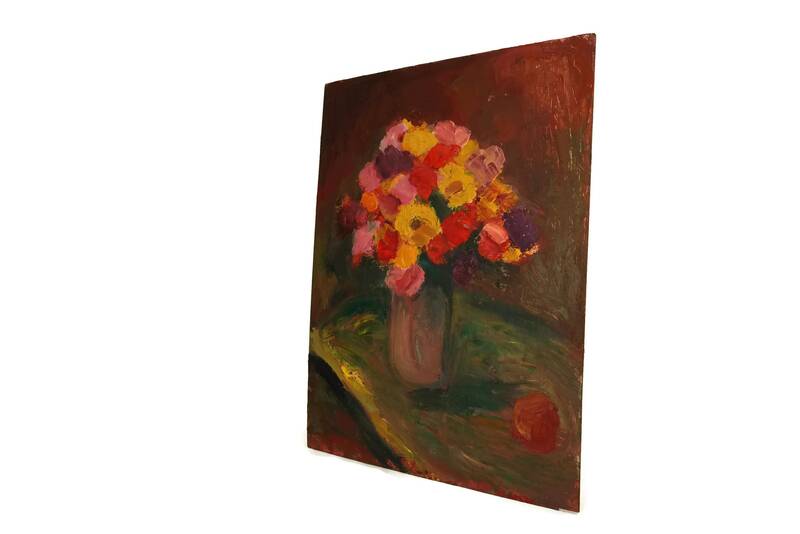 The striking painting will add a vibrant accent to your home decor. 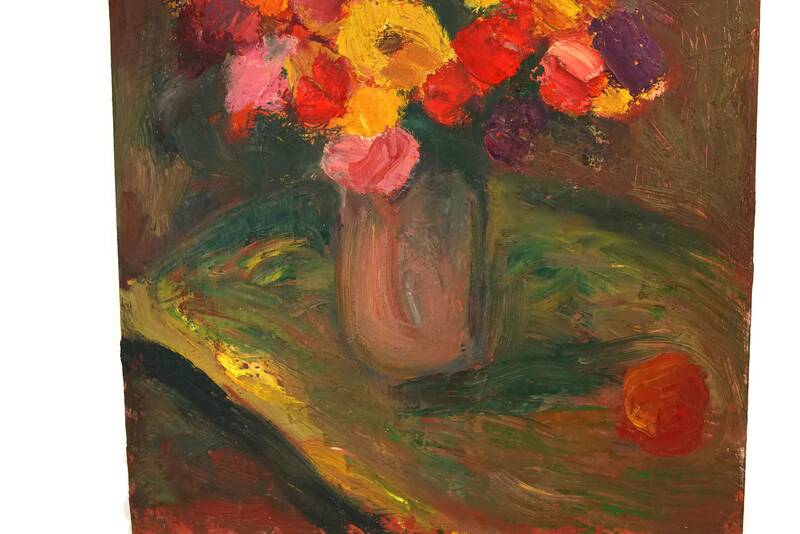 (46 cm x 61 cm). 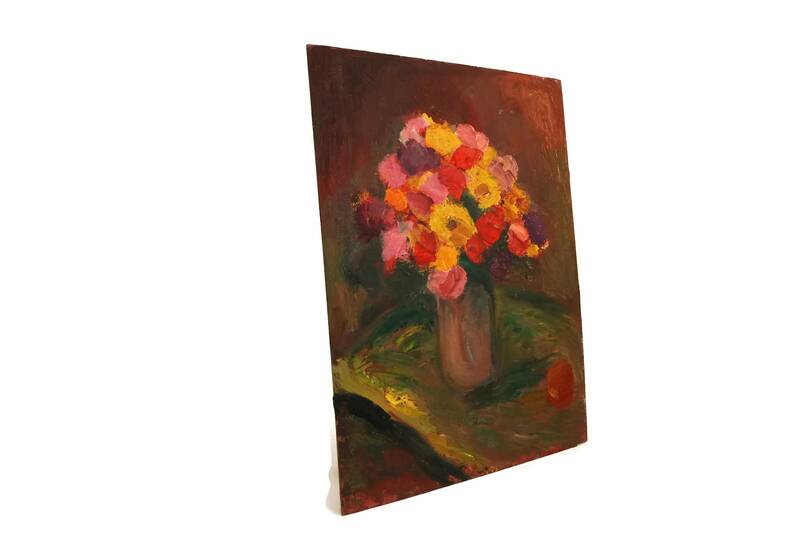 The vintage bouquet still life art is in very good condition with some signs of age and wear including light surface marks and wear to the edges of the board.